Reward Video Ad is becoming a mainstream revenue generating tool for games, apps and websites alike. One of the most common questions we get asked is, “how much money can I make using Reward Video Ads?”. Revenue from video ads depends on the popularity of your web property, the number of users you have and how active they are. Another factor that plays a large role is the area or “geography” where your users access the reward videos. On a “per-user” basis, geography will affect the price you get more than any other factor. Geography not only determines the advertiser’s ad rate but also their interest which affects the number of ads available to your users over a given period of time. CPM/Payout – Simply put CPM is the amount one gets paid per 1000 video impressions. CPM calculation considers several factors such as engagement rate, click rate, view complete rate, Player size, Video quality, Content quality, Audience quality, Month of the year, Day of the month etc. 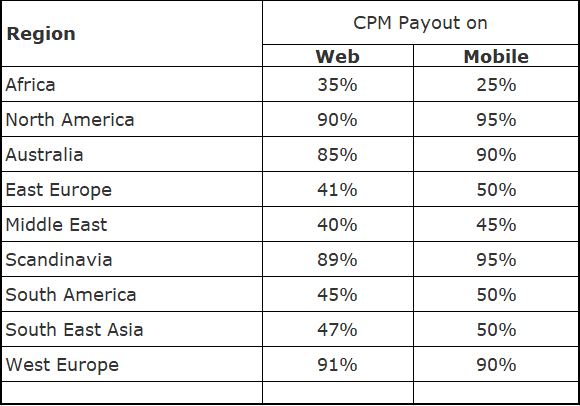 For games and apps, the main factor determining CPM / payout is geography of your user base. Demand for first-tier markets (North America and Western European countries) is 10 times higher than demand for third and 4th tier markets. Here is what one should expect when serving video ads in different geographies. To illustrate, let’s assume your Web Game has 100,000 Daily active users and you serve 300,000 video impressions to these users every day. If all users are based in North America, you will generate approximately $2,400/day. If all your users were coming from mobile devices, your revenue per day will be $3,000. Fill-Rate: Fill rate largely depends on geography. As I mentioned on previous paragraphs there is a lot of demand for North America and Western Europe audience. As a result, advertisers are willing to pay more in these geographies as compared to other locations. Here is what we are seeing in our network of clients that have integrated AppLixir Reward Video Ads. Assuming you have 100,000 daily active users in the US, you will receive a video ad 90% of the time due to the high level of demand from advertisers. In South America, you will only get a video ad for 45% of your requests. 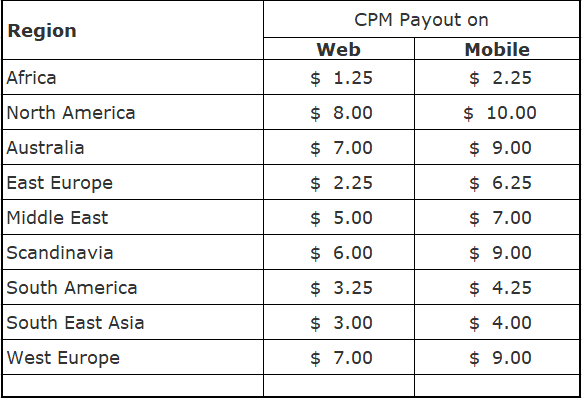 By combining the two factors of CPM and fill-rate, you can get a pretty good idea of what your revenue will be with AppLixir Reward Video Ads (Note that results may vary depending on various factors so make sure to read our other articles regarding ad revenue). Feel free to contact us at info@applixir.com for more questions regarding Reward Video Ads. Why Reward Video Ads keep Winning?